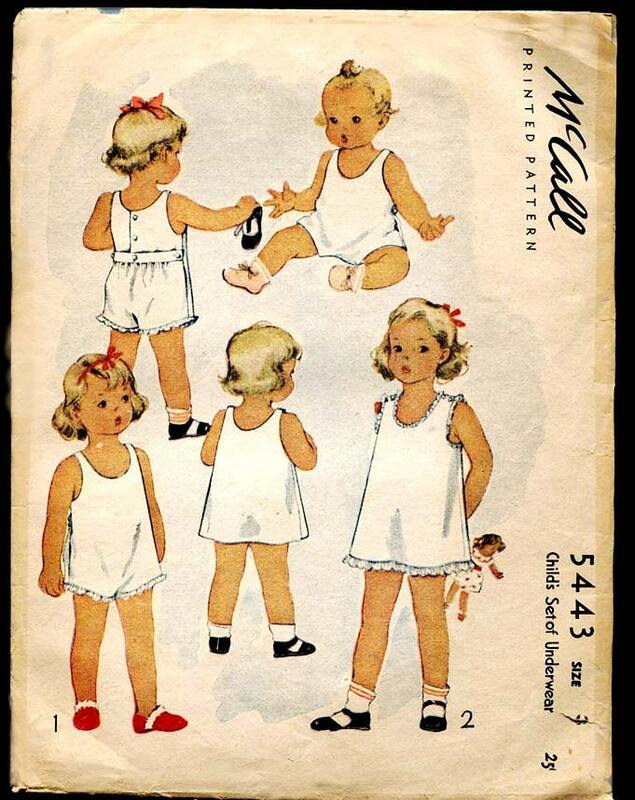 I began McCall’s vintage child’s slip and underwear pattern #5543 from year 1943. This is an oldie but goodie. I just love that these are called underwear. I’m working on the onesie slip (shorts). I have cut this onesie slip pattern and plan on trying it on one of the girls – mostly out of curiosity. The garment has a very interesting double continuous lap on the sides of the shorts. It also has an interesting “French door” style of opening at the two back panels. These pieces open and close and button onto the waistband. I’m using silk Batiste but any light/thin fabric such as polished cotton or lawn will prove the same result. I’m using double thickness on the fabric so you can’t see through. It’s hard to believe this pattern is 80 years old and really in such great condition. I’ve actually worked with patterns that have crumbled. I’m working with a non-printed pattern with holes for direction. Wish me luck on getting this double lap and back door opening. If I can figure it out, this surely will be an interesting garment. Hi! I realize this post is several years old and you may never see this, but I have been looking for this sewing pattern and haven’t yet been able to find it. I was wondering, would you be willing to trace a copy ofthe pattern or sell it to me?